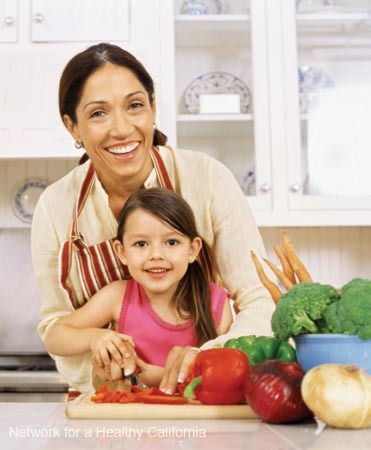 Herein begins a wondrous and perhaps stressful journey into the realm of food for parents and little ones, as children explore their taste buds and independence and parents seek to ensure their children receive a healthy diet. 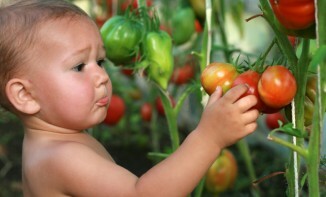 Toddlers are introduced to new tastes and textures as they transition from baby food to table food. Depending on age, size, and activity level, your toddler needs between 1,000-1,400 calories a day. It is perfectly normal for your child to be ravenous one day and shun food the next. Don’t worry if your child’s diet isn’t up to par every day—as long as he or she seems satisfied and is getting a well-rounded diet. Keep in mind that toddlers have very small stomachs. It is often better to feed them 5-6 small meals a day, rather than three large ones. 3-5 ounces, half from whole-grain sources One ounce equals: 1 slice of whole grain bread, 1 cup of ready-to-eat cereal, or ½ cup of cooked rice, cooked pasta, or cooked cereal. 1 – 1½ cups. 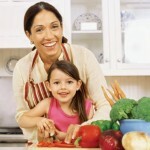 Serve veggies that are soft, cut in small pieces, and well cooked to prevent choking. 1 cup. An 8- to 9-inch banana equals 1 cup. 2 cups. One cup equals: 1 cup of milk or yogurt, 1½ ounces of natural cheese, or 2 ounces of processed cheese. 2 -4 ounces. 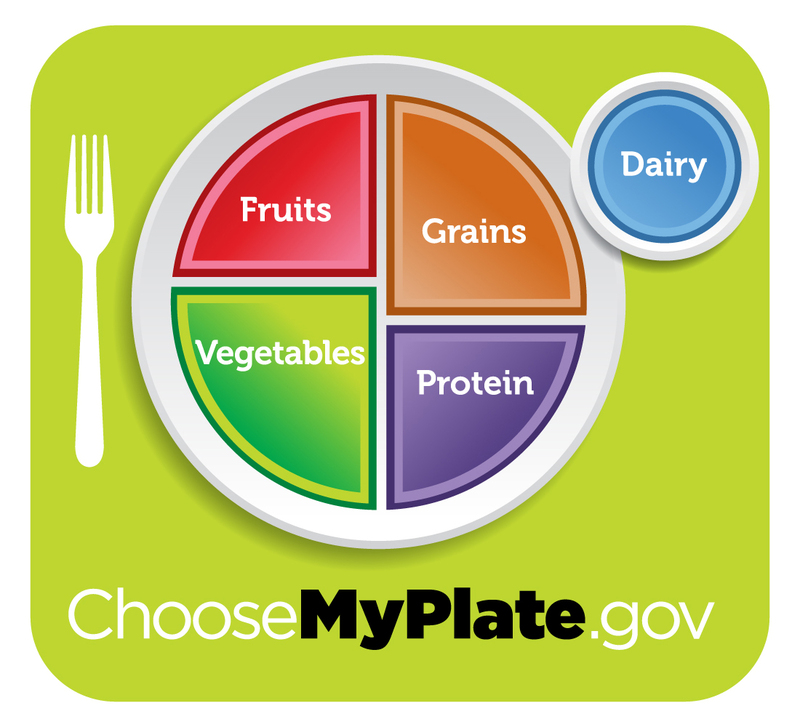 One ounce equals: 1 ounce of meat, poultry or fish, ¼ cup cooked dry beans, or 1 egg. An important part of a toddler’s diet is calcium (they need about 500 mg/day). If your child drinks milk, until the age of two they should drink whole milk, but older toddlers can usually switch to 2% or skim milk if approved by your pediatrician. If your kids are lactose intolerant or don’t like dairy, incorporate calcium-rich foods like fortified soy products, cereals, orange juice, cooked dried beans, and dark green vegetables like broccoli, bok choy, and kale. To stay healthy and energetic, your child’s body needs plenty of healthy fluids every day. Water is a perfect choice, since it hydrates without adding unnecessary calories and sugars. Our bodies use it to transport oxygen to cells, regulate temperature, eliminate waste, and cushion our spinal cord and joints. Kids are drinking more soda and sugary beverages (including sugar loaded juices) than ever before — drinks that contribute to obesity risk, dental health problems and poor nutrition. The best bet continues to be water. Read more on our Rethink Your Child’s Drink page. Toddlers need 7mg a day to prevent iron deficiency, which can affect growth, learning, and behavior. In infancy, breast-milk has a readily-absorbed type of iron, and baby formula and food is usually iron-fortified, so babies don’t need to worry about getting enough iron. Cow’s milk is low in iron. After switching to solid food, it’s important to ensure that your child is eating good sources of iron like fortified cereals, small amounts of red meat (like soft meatballs), or eggs. Limit your child’s milk intake to about 16-24 ounces a day, as toddlers who drink a lot of milk may be less hungry and less likely to eat iron rich foods. Serve more iron-rich foods (meat, poultry, fish, enriched grains, beans, tofu). When serving iron-rich meals, include foods that contain vitamin C (tomatoes, broccoli, oranges, and strawberries), which improve the body’s iron absorption. Continue serving iron-fortified cereal until your child is 18-24 months of age. Picky eaters are going through a normal developmental stage, exerting control over their environment and expressing concern about trusting the unfamiliar. Many picky eaters also prefer a “separate compartmented plate,” where one type of food doesn’t touch another. Just as it takes numerous repetitions for advertising to convince an adult consumer to buy, it takes most children 8-10 presentations of a new food before they will openly accept it. Read more on our Tips for Fussy Eaters page. Try fruit smoothies made from fresh fruits, juices and yogurts (rather than syrup substitutes) for a quick healthy breakfast or afternoon snack. 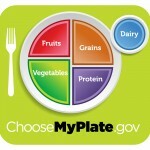 Add vegetables, fruits and whole grains to baked goods – blueberry pancakes, zucchini bread, carrot muffins.